Mineral Resources has agreed to purchase the Kumina project from BCI, which wants to focus on its Mardie salt and potash project in Western Australia. Australia’s Mineral Resources (ASX:MIN) has announced a binding agreement to purchase the Kumina iron ore project in the Pilbara from BCI Minerals (ASX:BCI), which has been working to divest its iron ore assets since August to focus on salt and potash. The AU$35-million transaction will see Mineral Resources acquire the Kumina part of BCI’s Buckland project in the iron-rich Pilbara region of Western Australia. 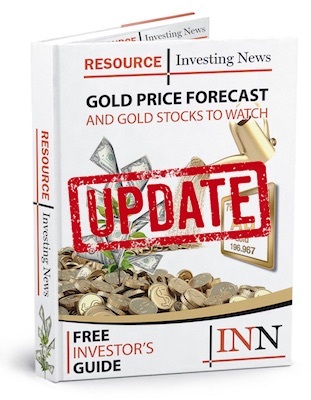 Kumina is described by BCI as having an inferred mineral resource of 78.3 million tonnes of iron ore graded at 59.1 percent, with “potential to upgrade ore above 60 percent iron and for lump ore production” — as per the current owner’s maiden mineral resource estimate, released in June. Chris Ellison, Mineral Resources’ managing director, said that his company was “very selective” in its decision to only acquire part of BCI’s iron ore portfolio. “An opportunity arose late in BCI’s divestment process for MRL to acquire Kumina Project on itsown, and I am very pleased with the agreement we have announced today,” said Ellison. “The Kumina Project transaction builds on our successful relationship with BCI, our partner in the Iron Valley Iron Ore Project,” which is also in the Pilbara. BCI’s managing director, Alwyn Vorster, said that the sale of Kumina was a positive return as the company had acquired the tenement for AU$9 million in 2017. In August, after the release of the maiden resource estimate for Kumina, BCI announced it was getting out of the iron ore business (though it will stay on as a partner with Mineral Resources in the Iron Valley project). It said that interest in its iron ore assets and its stated intent to become a salt- and potash-focused miner were behind the decision. Besides Kumina and Iron Valley, BCI’s iron ore portfolio consists of Bungaroo South (part of the Buckland project with Kumina) and Cape Preston East port rights on the Western Australian coast west of Karratha. It also has a number of exploration tenements. Funds from the sale of the assets will go towards the Mardie salt and potash project’s definitive feasibility study, and will ensure the company can maintain 100-percent ownership through to a final investment decision due in late 2019. BCI says discussions to sell its other iron ore assets are ongoing. Mineral Resources says it expects the agreement for Kumina to be completed by the end of this year following third-party agreements and consent. As it stands, the transaction will take place in three parts: AU$27 million up front, AU$4 million after first export and AU$4 million 12 months after first export. Mineral Resources made the news earlier this year when it seemingly kickstarted a tussle between mining magnates Gina Rinehart and Andrew Forrest — and their companies Hancock Prospecting and Fortescue Metals (ASX:FMG) — over its plans to merge with Atlas Iron (ASX:AGO) for its iron ore assets. Mineral Resources eventually bowed out after both Rinehart and Forrest made moves to block the merger and try to take over the smaller company themselves, leaving Mineral Resources empty handed while Gina Rinehart’s company got the prize. On the ASX, Mineral Resources was trading up 1.19 percent on Monday (October 10) at market, sitting at AU$15.27. BCI also got a boost from the announcement, rising 7.41 percent to AU$0.145.